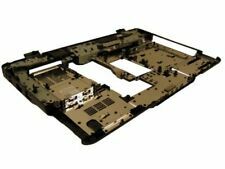 New DELL INSPIRON 15-5547 5548 5545 Series 06WV6 Bottom Base Cover & Palmrest Upper Case K1M13 Combo ! ● Compatible Models: DELL INSPIRON 15-5547 5548 5545. Hearing Assistance. new arrival. ● Part Number : 06WV6 K1M13. WXGA HD, 1366 x 768. Laptop Lcd Cables. Laptop Lcd Screens. Laptop Cover Parts. The guidelines are below. Laptop DC Power Jacks. Laptop Batteries. Compatible Part #s: B156XTK01.0, B156XTK01, JJ45K, TTYFJ. ▷ Part Number: 60.47L03.003 7K2ND 07K2ND. ▷ Compatible Models: Dell Inspiron 15 7537. Dell Inspiron 17 7000 7737 17.3" Full LCD Touch Screen Digitizer Assembly 7RXXJ Brand: Dell Part Number: 7RXXJ MPN: 07RXXJ, CN-07RXXJ Description: Dell Inspiron 17 7000 7737 17.3" Full LCD Touch Screen Digitizer Assembly 7RXXJ Type: LCD Screen Assembly Color: Gray Screen Size: 17.3" Max. Resolution: 1600 x 900 Compatible Product Line: Inspiron Compatible Model: Dell Inspiron 17 7000 7737 Condition: New This item will be Shipped exactly as shown in the picture. Trending at $115.94eBay determines this price through a machine learned model of the product's sale prices within the last 90 days. 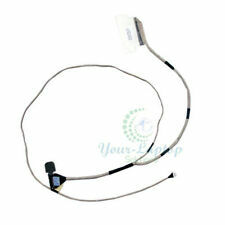 Compatible with: for Dell Inspiron 17 7000 (7746) 7737 15HR. Laptop Keyboard. with Backlit. What is included: Keyboard x1. Laptop Fan. Laptop Hard Drive Cover Caddy. new arrival. 2.100% New and high quality. For Dell Inspiron 15 5000 Series 5552 5557 5558 5559. the Laptop Model and Layout Version. It can be used interchangeably. Hope you understand. This is our SOP, for us to be certain and for record purposes. Model/Part Number: PT1NY 0PT1NY. Compatible with. Note: This is a backlit keyboard, the backlight may not work if your original keyboard is not a backlit keyboard. Fit models or part numbers: Dell Inspiron 17-3721 17-3737 17R-5721 17R-5737. Color: Black Backlit. 15 (5558 / 5559 / 5555 5000) 00KDP. Item Condition: Genuine may has scratches. 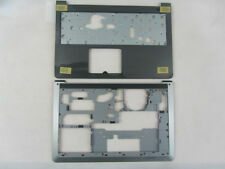 New Dell Inspiron 15MF 7000 7569 7579 LCD Back Cover Case. Compatible Models: Dell Inspiron 15MF 7000 7569 7579. Also note that monitor settings may vary from computer to computer and may distort actual colors. New DELL INSPIRON 15-5000 5555 5558 5559 T7K57 Bottom Base Cover & Palmrest Upper Case PTM4C Combo. ▷ Compatible Models: DELL INSPIRON 15-5000 5555 5558 5559. The display panel is not only thinner, but also lighter. A thinner distance from the backlight to the display surface may increase the brightness, and color reproduction of the display. Resolution: 1366 x 768 - WXGA HD. 006WV6 06WV6. 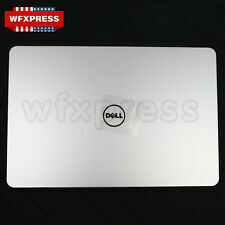 for Dell Inspiron 15-5547 5548 5545. We might require you to send us photo/s of the item received and also your original item so we can compare and conduct necessary actions. 1 piece Bottom Case Cover. New DELL INSPIRON 15-5000 5555 5558 5559 T7K57 Bottom Base Cover & Palmrest Upper Case T7K57 Combo ! ● Compatible Models: DELL INSPIRON 15-5000 5555 5558 5559. Hearing Assistance. new arrival. ● New & in Good Condition. We will be glad to assist in any way possible. Item was carefully pulled, item is lightly used and 100% Working. Screen - barely visible keyboard marks on the screen. Back Cover shows minor scratches and marks. Visible scratch. Actual item pictured. This list is for: NEW Keyboard For Dell Inspiron 13 5368 5378 7368 7378 Backlit US. Compatible with: Dell Inspiron 13 5368 5378 7368 7378. Dell INSPIRON 13-7000 7347 7348 7352 Keyboard Palmrest Case US. For dell INSPIRON 13-7000 7347 7348 7352. 1x Keyboard Palmrest Case. Part number:P14WK. The assembly is pulled from a used, tested system and is in 100% working condition. Dell Inspiron 11 3168 3169 11.6" TouchScreen LCD Assembly. Grade B . ALL PRODUCTS ARE MARKED WITH SERIAL NUMBER AND QC BADGE. NEW OEM DELL INSPIRON 15-5547 5548 5545 Upper Case PALMREST 5547 0K1M13 K1M13. DELL Inspiron 5545 5547 5548. OEM performance is the best choice! 50pcs High Heel Protectors Stopper Stop Heel Sinking Stiletto High Heel Covers. 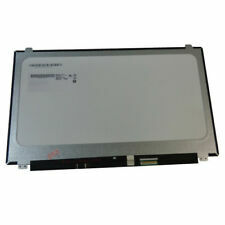 New laptop replacement black digitizer touch screen glass. This is not the actual screen. This is the glass on top of the screen that reacts to touch. This part also includes the lcd front bezel. Compatible Part #'s: MP0JK, 0MP0JK. Compatible Models: Dell Inspiron 15 (3521), (3537). Dell Inspiron 1540 1545 1410 PP41L P446J 0P446J NSK-9301. only keyboard without any screws. USA Keyboard Backlit FOR Dell Latitude E6320 E6330 E6420 E6430 E6440 E5420 E5430. white Keyboard HP Stream 11-d 11-d011wm 11-D010WM 792906-001 794447-001. Lenovo IBM Thinkpad E550 E550C E555. Keyboard for Lenovo IBM ThinkPad S3 Yoga 14 Backlight 00HW763 SN20F98414 US. Keyboard for HP COMPAQ 2000-369WM QE339UA Model BLACK US LAPTOP W8 key. New Dell Inspiron 1540 1545 1410 PP41L P446J NSK-9301 keyboard FAST FREE USA. The Laptop Model and Layout Version. It can be used interchangeably. Hope you understand. 2x 3 RCA AV Audio Video Female to Female Jack Coupler Adapter 3RCA Connector. Type: Laptop Keyboard. 1 x US Laptop Keyboard No Backlight. ● Part Number: 0VF544 08FGMW. ● Compatible Models: DELL INSPIRON 15 7000 7559. New ENVY Upper Palmrest Case M6-N 15-Q 774153-001 Bottom Case Cover For HP USA. New Aspire E1-571 E1-521 E1-531 Upper Palmrest Case Bottom Case Cover For Acer. Trending at $66.81eBay determines this price through a machine learned model of the product's sale prices within the last 90 days. Dell Inspiron 15R 3521 3537 3535 Series Laptop Black. for Dell Inspiron 15R 15-3521 15-3537 Series Laptop. New LCD Hinges Cover for. This is our SOP, for us to be certain and for record purposes. We might require you to send us photo/s of the item received and also your original item so we can compare and conduct necessary actions. After the necessary information has been provided, we will arrange for the item to be replaced. 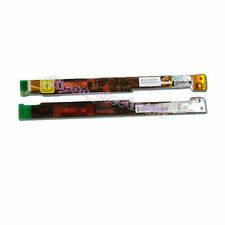 For Dell Inspiron 5000 15-5000 Series. for Dell Inspiron 15-5545 15-5547 3543 5543 5548. the Laptop Model and Layout Version. It can be used interchangeably. Hope you understand. Type: Laptop Keyboard. New laptop dc jack cable. Compatible Part #s: KD4T9, 0KD4T9, DC30100VV00, DC30100UD00. Compatible Models: Dell Inspiron 15 (5551), (5555), (5558), (5559), Vostro 15 (3558). Dell Inspiron 1545 1410 1520 1525 1540 1546 P446J 1526. New black lcd back cover with antenna for laptops with a touch screen. Compatible Part #'s: VJW69, 0VJW69. Compatible Models: Dell Inspiron 15 (3565), Dell Inspiron 15 (3567). Compatible Part #s: KPP2C, 0KPP2C. Inspiron 15 (3552). Inspiron 15 (3541). Inspiron 15 (3542). Inspiron 15 (3543). Inspiron 15 (3551). Inspiron 15 (5551). Inspiron 15 (5555). New For Dell Inspiron 15P 7000 5577 5576 7557 7559 Wifi Cable Antenna Wire. Trending at $13.97eBay determines this price through a machine learned model of the product's sale prices within the last 90 days. Compatible Part #'s: G7P48, 0G7P48, PK1313G1B00. Dell Inspiron 7557, 7559. This keyboard is black in color and it is the backlit version. This may be the part you need to replace your broken keyboard. The Dell Inspiron is a versatile laptop that is good for everyday use in the home or office. However, parts can wear out or suffer from unforeseen accidents. Access to compatible Dell Inspiron parts allows you to repair the laptop as opposed to outright replacing it. What spare parts are available for the Dell Inspiron? You can find a range of laptop replacement parts for Dell Inspiron computers that you can use to fix most issues you might be facing. If you are having trouble with your keyboard, then you can install a replacement keyboard. Some of the other commonly available parts include USP Ethernet PCB boards, bottom base covers, built-in speakers, DC power jack ports, and screens. A new keyboard or screen can make your laptop seem like new. What are the benefits of replacing hard drives? A new replacement hard drive for your Dell can be used to help solve a number of issues. When the old hard drive is filled to capacity, then installing a new hard drive into a Dell Inspiron can help increase the computer's capacity. Switching out the old hard drive on the Dell for a new hard drive can improve your computer's memory and storage space. The old hard drive can be placed in an enclosure and used externally. Just plugging the external hard drive into a USB port will power it up, and the contents can become visible on the LCD screen. Are spare laptop adapters available? Spare laptop adapters are available. Since you cannot power your Dell Inspiron without the necessary adapter, having a replacement on standby can be a big help. Keeping an adapter for the laptop nearby also eliminates downtime if the original was lost. Since you may need to look at the LCD display for work or for other computer-related activities, maintaining spare replacement parts to power the laptop in the home or office can be a significant convenience. Can you replace the back cover on a Dell? Yes, a new replacement back cover could prove to be one of the most vital replacement parts for your computer. Underneath the back cover of your laptop are a number of critical parts necessary for the operation of the Dell. The motherboard, fan, and other parts stay protected with the back cover fixed on the Dell. Without a replacement cover, the parts underneath the laptop back cover may need repair. Matching the cover size for the Dell Inspiron serves as the first step in repairing your laptop.